On Sunday, November 24, 2013, His Eminence Metropolitan Nicholas visited the St. Catherine Parish in Ithaca, New York. 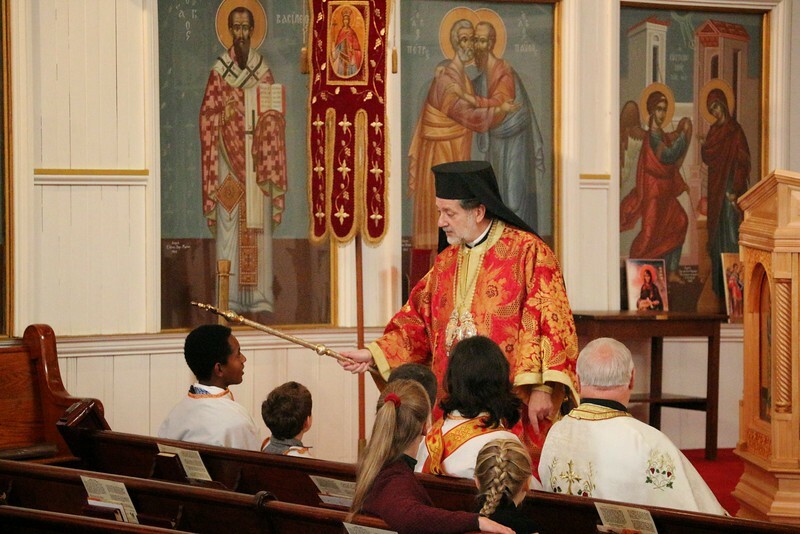 His Eminence celebrated the Hierarchical Divine Liturgy assisted by Fr. Thomas Parthenakis (Proistamenos). On this occasion, His Eminence awarded Fr. Thomas with the Offikio of Economos for his service to the Church. Axios, Fr. Thomas!